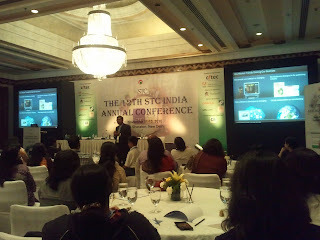 Here's the presentation that I made at the STC India Conference in Nov 2010. View more presentations from Taruna Goel. I began with a story that highlights the importance of a design review. The story is about a button that was costing a major retailer 300 million dollars a year. This button was sitting in a form within the e-commerce site of the retailer and was preventing sales, a lot of sales. A review of the design was conducted and the button was changed. A small change in the design led to 45% increase in sales in the first year! The objective of the story was to highlight the importance of a design review/walkthrough as a quality practice. Design is so universal and yet not very obvious or not until there is something wrong with it! To build the importance of design, I spent a few minutes discussing the definition of design and how a design walkthrough can help us build better products. I finally discussed that one critical thing that really makes or breaks an effective design walkthrough. You will find the answer on Slide #33! I wrapped up the session by summarizing the advantages of a design walkthrough for designers, reviewers, and the organization but more importantly for the product being designed! My audience for the presentation at STC was largely the technical writing community. So, my examples were from the training industry. But the principles and best practices discussed in the presentation apply to the design walkthrough of anything - products, user interfaces, and training material. I hope my readers will enjoy the presentation and I sincerely believe that my presentation will offer something new, something to learn for everyone.Your feedback and comments are welcome! I participated in the STC India Annual Conference this year. 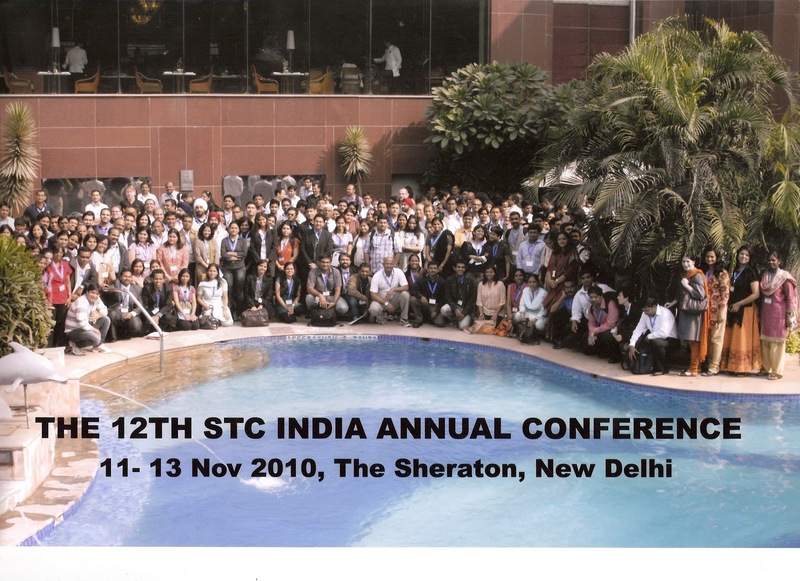 The conference was held at Sheraton, Saket, New Delhi from 11 Nov - 13 Nov 2010. 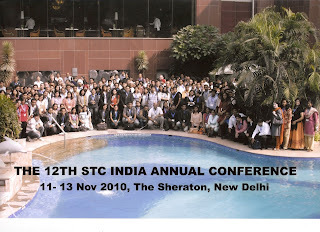 This was the first time that STC India Conference was held in New Delhi. The agenda of this year's conference included topics that have never been presented before. I am not surprised because my own presentation focused on 'design walkthroughs and reviews', which is not the kind of topic that the technical writing community is used to hearing about (more about that later). Certainly, the topics extended beyond the usual language and tools and allowed the community to discuss about technical writing as a career, the future for Indian TechComm, and various trends in technical writing, training and technology. The underlying theme of most presentations was to encourage technical writers to move from 'being a technical communicator to a knowledge manager - curating and aggregating content and knowledge'. Write to find out what you will write. Write small things that may or may not fit together. Don't even think about being published. Break all the rules. Write what you feel like writing. (Initially, as a writer...) Dabble in everything. Find a niche for yourself in the long-run. Be conscious of your digital footprint. Search yourself frequently. Take charge of your online brand. If you don't show up on Google, you don't exist. In the natural world, we interact with information by seeing, hearing, touching, feeling, and smelling. (When it comes to technical communication), we must get back to the natural way to interact with information. There is a fundamental shift in the way people experience ideas and information today. There is a changing mindset about technical communicators. From a necessary evil, technical communicators are now a strategic asset. In the new economy, training is the number 1 source of competitive advantage. Knowledge is a function of collective information. 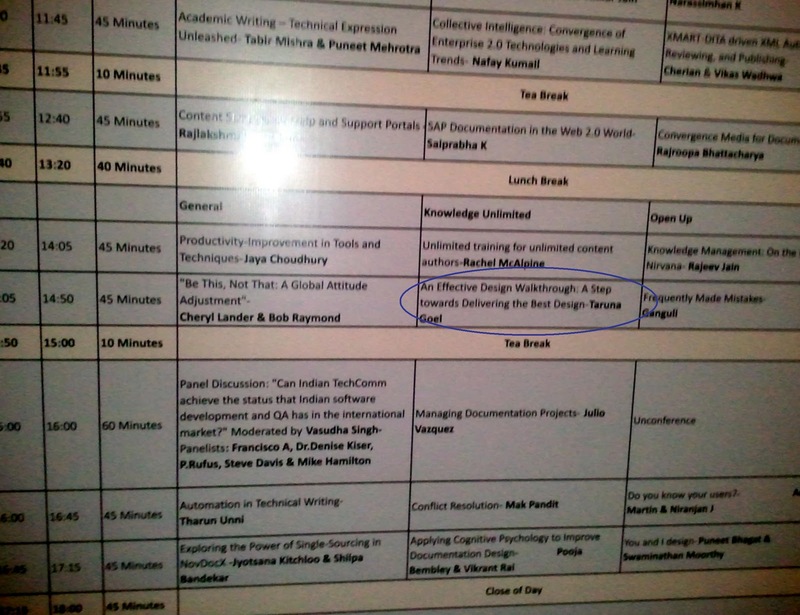 I delivered a 45- minute session on Day 2, on the topic 'An Effective Design Walkthrough - a step towards delivering the best design' within the 'Knowledge Unlimited' track of the conference. As a part of the development process, design reviews usually happen when designing any product (or service). However, many reviews fail to capture the mistakes or flaws in the design or end up critiquing the designer more than the design! Conducting effective design walkthroughs is both a science and an art. My focus was to share best practices and tips about how to plan, prepare (for), and conduct a design walkthrough in order to make it effective. The concepts discussed in the presentation were applicable to conducting a design walkthrough of software, user interfaces, manuals, technical papers, and training design. The presentation aimed to highlight the importance of a design walkthrough as a quality practice that allows designers to obtain an early validation of design decisions. I had an interesting audience who was curious and yet comfortable exploring new ideas about design review and walkthroughs. I had a lot to learn and share during this conference. I thank STC India to give me this opportunity to present my views and also participate and get energized with an intelligent and bright community! I look forward to participating in other STC events and hope to bring many more ideas back and share them with my readers. I will be presenting at the 12th STC India Conference this November at The Sheraton, Saket District Centre, New Delhi, India. 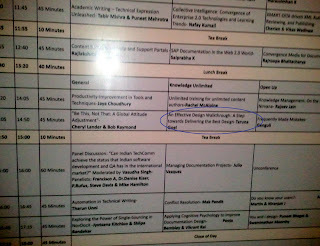 You can catch me in the 'Knowledge Unlimited' session on Day 2, 13 November 2010 at 2:00 PM IST. I will be sharing my views on how to plan and conduct effective design walkthroughs. I have been working on designing and developing a training workshop on embracing change and transition. Perhaps, the timing was just right. I say this because I am just about ready to celebrate my one-year anniversary as an independent consultant and what a change it has been! I am writing this post as a way to reflect and capture my learning over the last one year specifically related to making this transition. Maybe this can help people who are contemplating the shift. After many years of a successful and a very happy corporate life, last year I decided to make a change! Having worked for 10 years with a leading training company, I knew that no other company would seem good enough. Therefore, I decided to make a shift to independent consulting. There were some big changes and some small. Overall, I can say that I have performed well. I owe this to my ability to embrace the change and make healthy transitions and my good fortune to work with extremely wonderful clients who believed in my skills and gave me an opportunity to partner with them. 1) From a fixed monthly paycheck to an open opportunity to earn as much as I want - I guess this was a big change as it impacts both financially and emotionally. I never complained about my fixed pay :) but to get the opportunity to earn as much as my skills pay was a big change. I also realized the importance and value of my own skills. When you work with the same employer for 10 years, your skills are known and appreciated. However, when clients with whom I hadn’t worked with, started appreciating my skills and competencies it certainly felt nice. And when they paid well, it worked out quite well. I guess it is a choice. If a steady paycheck is your peace of mind, think about this carefully before you step on the other side. I believed in my skills and raised the bar for my own self. When my clients liked what they got, they automatically became referrals for my new clients. Learning: If your skills are 'marketable' and you can provide 'value' to your clients, there is no limit on the pay cheque. You need to have confidence in your abilities to take this leap. If you believe in yourself, others will. 2) From coffee conversations to mostly tea...alone - This one was a tough change. I don’t think I was prepared for it enough. Truly speaking, I still miss being around people walking up to my desk asking me questions, sharing their experiences, and the general environment of working with other faces! I have since come a long way and can manage to work ‘by myself’. It wasn’t easy. I made an extra effort to participate in social forums, have had several coffee conversations online, written more blogs, connected with people in online meetings and webinars, and registered for face-to-face learning events. What all of this taught me - better communication skills, ability to work with ambiguity, and working across cultures, timelines, and instructional design styles. Learning: If you want to stay in touch with humanity, there is no stopping you. Any and all communication makes a difference. You should be willing to take the first step to communicate. 3) From a hectic but stable work life to a more fluid life – Corporate life isn’t easy. And a 9 - 6 job never stops at 6. Over the last few years, I was spending far more time on office assignments and professional training (related to my work) at the cost of my personal life. After making the shift, I diligently stuck to 9 - 6 and have worked very few weekends. Yes, it is again at a cost. But I can deal with this cost! Now, I have more time for myself, my family, and networking – both social and professional. However, this also means moving from a fixed and stable schedule to a more flexible and sometimes an unreliable and unpredictable one. As an employee, there is always work for you. As a consultant, you need to create your own work. There can be downtimes but if you plan your moves correctly, you can completely avoid them. Learning: You need to be able to deal with fluidity, ambiguity, and sometimes no work! In time, you will manage your schedule better to ‘guarantee’ work for a couple of months. If you acquire and build good relationships, you have a better work calendar! It all depends on you. 4) From a protected cocoon to the big world - In my corporate life, I felt safe, protected, and nicely surrounded by people and processes around me. There were risks I still took but guess they weren’t very big risks cause others were always reviewing and guiding. I had a system to fall back upon. But when I started on my own, it was like coming out of a cocoon. I was the one deciding everything – the process, product, and price! It was probably the right time for me because I was fortunate enough to be exposed to many different clients and situations in my 10-year career. But this can be very intimidating to folks who are new to this industry. And all these decisions were potential risks. Some worked and some didn’t. I learned along the way. Learning: Trust your instincts and be willing to take risks. You may not think you have entrepreneurial skills. But when you need them, you will see them at play. 5) From reporting to a boss to ‘I am the boss’ – I have always enjoyed working with my supervisors. I haven’t had bad bosses or perhaps I was a good employee! :) As much as I love being my own boss, I do, at times, miss being mentored by someone who is looking and evaluating my work closely. This also actually puts more pressure on me to create my own vision or plan and then evaluate my work against it. This is tough to do. It is tough to be a visionary and then be objective about your own performance. But if you are mature and believe in learning, you can do it. The ‘boss’ now is a metaphor for me to create my vision, to self-evaluate, to appraise, to point mistakes to myself, and to learn from them. I am my own boss means that I need to plan my own career and development. Learning: Be your own boss means far more than you think. Being your boss means to first identify where you want to be and then help yourself get there. Keep evaluating and learning from your mistakes. Do an objective evaluation of your own performance because no one else is coming to do it for you! To be where I am today, took many changes – some inflicted by circumstances and others by my own self. I also made conscious transitions towards managing these changes. I learned, unlearned, and (re)learned. I developed new skills and practiced skills that I hadn’t used for a while. I am certainly a better instructional designer now then I was a year ago. I am perhaps a better project manager now since I rely only on myself to multitask and switch between the roles of an instructional designer and a project manager. But there is one thing that hasn’t changed. I have always been self-motivated and passionate about all things learning and training and I love the product/service I offer. When I was an employee I loved it then. As a consultant, I am as passionate about it. In these five learning points, I have tried to sum up my experience of the last one year. They only represent some of the changes and how I dealt with them. By no means do I want to romanticise independent consulting. It is not easy. And you can’t see everything in black or white. A more realistic view would be to understand the tones of grey and appreciate that just like many other working styles – independent consulting is a working style. It may suit some and may not suit others. You need to understand yourself, evaluate your skills and competencies, know the risks, and understand the potential rewards. You need to be self-motivated, self-driven, organized, and resilient, and most importantly, you need to define your own measure of success. “Success to me is not about money or status or fame, it’s about finding a livelihood that brings me joy and self-sufficiency and a sense of contributing to the world." I recently read a blog post by Janet Clarey highlighting the need to go back to the basics. These 'basics' are different for everyone. But like all subjects and bodies of knowledge, there are a few foundational concepts that have been identified and acknowledged as such. Without knowing and understanding these basics, we can't claim to be successfully practicing our subject - the subject of instructional design. "…she doesn't have an ID background...are there any websites or books that she could read for guidance and basically on how to get started...can you suggest some sites or books that may be good with fundamentals…"
And so begins the struggle of a first-time instructional designer. For my friend and many others out there who have often called and written to me asking about good websites and books for learning the basics of Instructional Design AND for others who don't know me but are no less interested in a good list of resources… well, here's my top 10! This list is a combination of books and sites that offer theory, models, examples, and mentors! 1. What Everybody Ought to Know About Instructional Design - Tom Kuhlmann's articulation of the importance of instructional design/role of an instructional designer - simply superb! I have often used this video and the associated text when conducting training on ID basics for new hires in the field. 2. The Instructional Design Knowledgebase - Retrieved August 03, 2010 from Nada Dabbagh's Homepage, George Mason University, Instructional Technology Program. - An excellent and very comprehensive site that talks all about instructional design and the ISD Process. A good place to start with the basics and then continue learning. Infact, if there was one single resource that I had to choose - it would be this one! 3. Instructional Systems Design (ISD) - An excellent resource to understand the ISD process, ADDIE Model or Systems Approach to Training (SAT). 4. ID Models - Use this site to learn about design, instructional design, and models of instructional design. 5. Instructional Design & Learning Theory - Refer to this white paper to learn more about the three basic theories of learning. Trust me, you will keep coming back to this resource. As you progress in your field and gain experience, the words will offer deeper meanings. 6. Essential Reading for Instructional Design - Well, the list of books recommened by Cammy Bean should fit into the learning library of any instructional designer - new and experienced. 7. Top-10 Books on ID - A site that lists the top 10 ID books recommended by eminent scholars, theorists, and practitioners in instructional design and technology. Specific books are repeatedly nominated - those are the foundational ones. 8. The 60 Minutes Masters - A free course designed by Clive Shepherd and his team to train Subject Matter Experts (SMEs) in Instructional Design. But really, the basics here are applicable for all roles involved in the process. 9. Top E-learning Blogs of 2009 - An excellent resource that gives a list of top blogs by some exceptional people. Start reading and following these blogs to keep learning. 10. 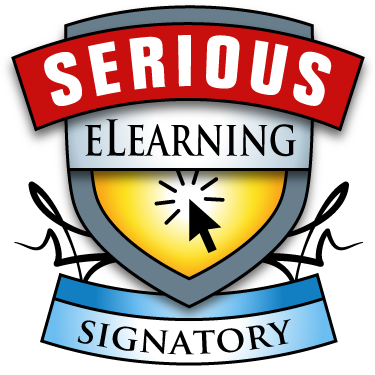 Elearning Learning - A community collecting and organizing the best information on the web about eLearning. Having shared the list above, I must add that I don't have any formal education in instructional design. Also, I don't claim to be an expert who knows it all. So, the list above is by no means the most comprehensive. But I do know that these sites have been useful and helpful to me. After practicing instructional design for 11 years, I often go back to these basics. Everything I know and have gathered is because I teach others (and teaching is the best learning activity!) and I try to practice and do what I learn. So, for all you budding instructional designers - you won't learn much just by reading. Find opportunities to apply and practice what you have learnt. Learn by doing. PS: For my readers - If you have any websites/books/blogs/other resources that have been useful for you in your journey of all things teaching/learning/instructional design, I'd be happy to add the same to my list! I recently read an article in The Economist highlighting a report that shows that "the rate of growth of blogs has slowed in many parts of the world. In some countries growth has even stalled". Yes, perhaps it is true that blogging is growing at a far lesser rate than it was 10 years ago. But I don't think blogging is dying! The trends are changing. Our expectations as bloggers and readers are changing. Since 2004, many Analysts have written about how social-media is just a fad and how twitter and facebook status messages will eventually take over blogging. If we were to believe reports, then in 2007 Gartner predicted that blogging will peak in 2008 and then it will fizzle out. But I don't think the fizzle is out just yet. There are many more interesting statistics. 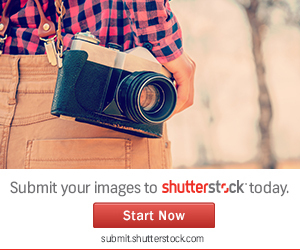 Just like everything else in life, we want access to the latest and the most cutting-edge! But that does not indicate that we forget the old or that old is not needed anymore. Just like a traditional classroom never got replaced by elearning, blogs can't be replaced by 140-words of twitter or facebook updates. People will follow quality blogs that have something meaningful to discuss and stop reading things that don't matter. People are not as interested in posting or reading about minute-by-minute updates about personal lives. There will be significant advances in blogging technology that will give us applications and tools to create dynamic blogs that are more than just text. Syndication and aggregation of all 'content' will happen more seamlessly. Many more industry verticals will take to blogging - it won't be limited to the 'IT folks' or the politicians. Professional blogs and Corporate Blogging will continue to rise in the coming years. Companies will connect with their employees, investors, and customers more transparently through blogs. Blogs will continue to create clouds of meaningful social discussion. An inspired voice will continue to draw crowds of followers. Blogs are here to stay. Shorter isn't always better. 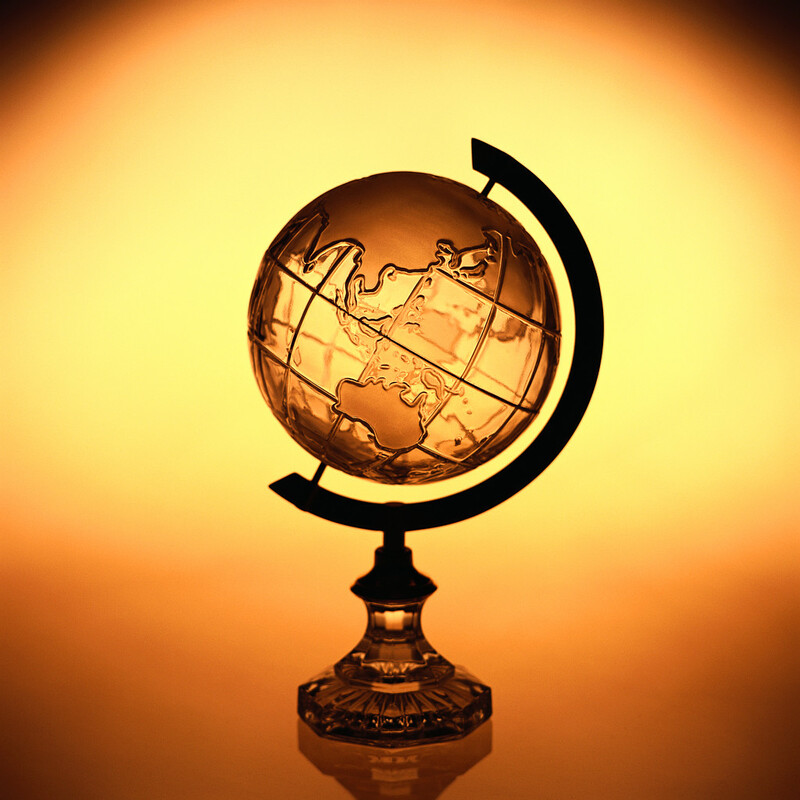 Culture-Neutral Instructional Design – Fact or Fiction? As an instructional designer and learning specialist, I like to believe that I am aware of the cultural difference between me and my intended audience. I also believe that I try my best to ensure that my training design and developed content is devoid of any cultural bias and the instructions are unambiguous. However, can instructional design ever be culture-neutral? This statement is enough to let us know that the definition and understanding of culture is changing. Culture can be defined as “the sum total of ways of living, including values, beliefs, aesthetic standards, linguistic expression, patterns of thinking, behavioural norms, and styles of communication” (Powell, 1997, p. 15). The above statement clearly reflects that culture plays an important role in our daily lives. It is all pervasive yet not very obvious. The way we are and the way we perceive situations and react to them is a product of our culture. Culture is therefore learned behavior; it is not genetic. In the 21st century, all training and content providers and educational institutions want to ensure that they provide culturally-neutral learning environments. As more and more learning moves online, the audience has become global and widespread rather than local and captive. The boundaries separating cultural groups are now getting blurred. To be successful, training and content providers and educational institutions are sensitised to the impact of culture on learning. Learning is a social phenomenon and it pervades culture. Learning is embedded in everyday situations. There is enough research to prove that learning is best achieved when it is used and applied in real-world contexts. • How can I build the right context without incorporating the element of culture? • Aren’t popular instructional design models themselves a product of a particular culture? • How can I as an instructional designer be immune to the effects of culture – my culture and that of my learners? Culture not only affects how we behave and think but also how we learn. There is a growing recognition that learning strategies and tactics are influenced by culture. According to Henderson (as cited in McLoughlin & Oliver, 2000), “Instructional design cannot and does not, exist outside of a consideration of culture”. Aspects such as the perceived role of the facilitator, usage of technology towards learning, type of assessment systems, more lectures versus more hands-on learning, various types of rewards of learning etc. are some of the factors that are deeply influenced by our culture. While we talk of inclusive design and culture-sensitive learning strategies; there isn’t enough or concrete research to help us design instruction that can help cross-cultural learners learn in ways that map to their culture, their values, beliefs and styles of learning. Culture and learning both are evolving. There is not enough discussion about models that can help us design courses that are culturally-neutral. However, in my research, I came across one particular model proposed by Henderson. Henderson (1996) has argued that instructional design is about the creation of cultural identity and cannot be culturally neutral. Henderson proposed the multiple cultural model of instructional design. This model proposes a design approach that considers various cultural realities or zones of development. These include designing learning interventions that reflect multicultural ways of learning and teaching. Application of this model calls us for being culturally-sensitive and develop a global perspective about learning and teaching. • Based on this model, we ought to adopt not one particular but multiple pedagogies that provide flexibility and a variety of learning approaches to learners based on their cultures and contexts. • We should utilize learning and assessment strategies that can help minimize cultural misunderstandings between diverse audience groups. • By using more constructivists’ approaches to learning, we can ensure that the learner is the centre of all learning and we offer increased flexibility and interactivity in all learning interventions. • By becoming more aware of our own ‘implicit’ assumptions about culture and by appreciating the differences, we can design and develop learning interventions that are more culturally-sensitive. So, can instructional design be culture-neutral? Perhaps not as much we would like it to be. But by adopting a more diverse view about learning and the differences in cultures, we can surely design and develop culturally-sensitive training that is more meaningful to our learners. Are You a Manager by Chance or by Choice? The reason I ask this is because most managers become managers only by a matter of their vertical growth (by chance) in the organization and not necessarily because they can manage people well or that’s what they’d like to do (by choice). I believe that most people are not prepared for the transition from managing self to managing others. Being successful as an individual is no measure of success for being successful as a manager. And I have seen several failures where the past glories and successes of individual contributors could not be replicated once they had a team to look after. It seemed as if they lost their own edge and couldn’t do a good job at getting others to perform either! So what is it about becoming a good manager that is so illusive? Well, hardly anything! 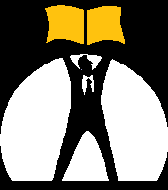 We have articles and books galore about how to become a good manager. They talk of leadership, managerial skills, trust and team-building skills, time-management skills and plenty more! 1) It is about people. People make companies not the other way around. Let no one tell you otherwise. So, effective managers focus on developing their people. Good managers know the skills and talents of their team and assign work accordingly. 2) It is about management. Good managers can’t do well if they don’t understand the business! Strong project management skills lead to an effective manager. If you have a great team but bad business – you can’t be a good manager. 3) It is about mutual respect. Good managers never flaunt their position or power to gain respect. They give respect and get it in return. Effective managers earn respect by their confidence, honesty, and skills at work. 4) It is about work ethics. Good managers have values and ethics and they live by them irrespective of the type of situation. They have high expectations from themselves and people who work with them. They are a living example to their team. 5) It is about being responsible and accountable. Good managers never shy away from taking responsibility and being accountable for their actions – no matter how good or bad. They are ready to face the consequences, accept mistakes, and learn from their actions. Their teams are able to follow the same. 6) It is about letting go. Good managers never micro-manage. They assign tasks, ensure the team has the right resources, and then let go. They delegate and they trust. And their team thrives. 7) It is about communication. 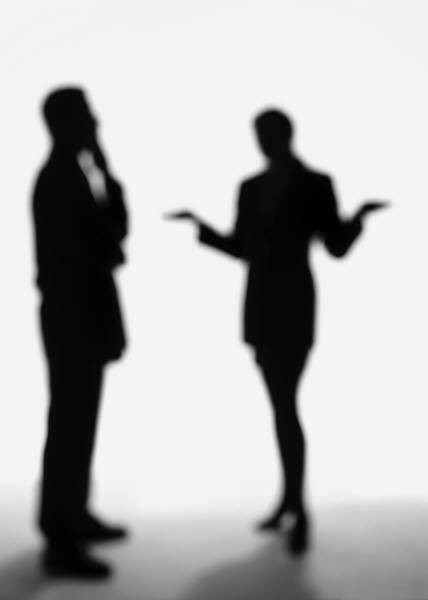 Good managers know that communication is a two-way street. They are available to their team, listen openly, share information readily (not hoard it), and enable their teams to feel free to discuss any issue. They share feedback on time and expect to receive feedback from their teams too! 8) It is about thinking out-of-the-box. Good managers never shy away from processes but also don’t let processes and rules stop them from innovating. Good managers enable their teams to think creatively and are willing to take the risk. 9) It is about developing yourself. Sounds cliché – but good managers can’t develop people if they don’t focus on developing their own skills. Effective managers don’t end their learning at becoming the ‘boss’. Infact they just about start it there. 10) It is about still being friendly. Good managers don’t stop being friends just because they are the boss now. Instead, they are able to maintain a professional relationship at work without destroying their personal relationships. They are direct and never ‘use’ their friendships to get ahead. Good managers are not born. They are made. And they are made by years of experience including both success and failures. Just remember to practice being a good manager, prepare yourself for the role, and don’t be like the boss you always disliked! Blended learning is not a new thing. It is not a radical concept. It is not a new-age way of thinking about learning. As Elliott Masie puts it: “We are, as a species, blended learners.” So, the blend existed much before we understood and (re)defined it. • Learning methods that combine e learning with other forms of flexible learning and more traditional forms of learning such as face to face classes. • Learning events that combine aspects of online and face-to-face instruction. • A Learning approach that includes the use of appropriate combinations of information technologies--videoconferencing, audioconferencing, Internet, CD-ROM, and other media, combined with appropriate learning technologies, on-site facilitated activities, and strong learner support systems. • An educational formation the integrates elearning techniques including online delivery of materials through web pages, discussion boards and/or email with traditional teaching methods including lectures, in-person discussions, seminars, or tutorials. • Learning that involves both online and in-person activities. "Blended learning is learning that is facilitated by the effective combination of different modes of delivery, models of teaching and styles of learning, and is based on transparent communication amongst all parties involved with a course." For me, this definition is more complete since it allows instructional designers to create a blend of many more aspects that just Internet-based vs. face-to-face learning. And it focuses on transparent communication – more on that later. So, what can you blend? Well pretty much everything! You can blend theories of learning and use different learning models for different learning outcomes. You can blend the media components (perhaps most common) and provide enough variety to the learning process. You can also blend different styles of learning as understood today. The important thing to remember is that it needs to be integrated and seamless. That’s where good communication or transparent communication (from the definition above) comes into play. Is there the perfect blend? Is there a single blend that prescribes the best way of producing the right mix? No. They can never be. This is because the term ‘blended learning’ and what it means keeps changing depending on the context in which it is used. Today, the blend is of face-to-face and Internet-based media. Tomorrow, the blend will be based on mobile and social learning, Web 2.0, and 3D immersive environments. Today, the social media elements are a probable component of the blend. Can’t say this was a possibility 10 years ago. Is blended learning for everyone? To make blended learning a success think why before you think how. We cannot underestimate the value of feedback. Feedback is an important aspect of building a constructive relationship - personal and professional. It is an invitation to interact. It can help improve our performance and change our behaviour. It can help us become self-aware and also allow us to help others discover themselves. Most of us know and understand the importance of feedback. But when it is time to give or receive it; we are not at our comfortable best. I can assure you, it is not easy and it does not come naturally. Giving and receiving feedback is a skill that needs to be developed consciously and our minds need to be trained for it. Several articles and books explain the right method and process to give feedback. I will restrict myself to sharing tips about giving and receiving feedback that have worked well for me. Also, people generally don’t have much difficulty in giving and receiving positive feedback so some of the tips are better suited for constructive/developmental/negative feedback. - Any time is a good time for giving feedback - Don’t wait for the end of the assignment/project/year to give an important piece of feedback that would have made the difference along the way. Remember, feedback is not an annual process! If you are ready and the individual is ready, the time is right! - Plan the feedback session – It is not a good idea to give feedback on an ad-hoc basis, in between other meetings, in the hallway, when surrounded by other people etc. Make it planned. Make it personal. One thing that helps me is to note down my observations (good and bad) when working with my team. Keeping a note of what could possibly be used for a feedback session later always helps. I don’t trust my memory as much as I trust my notes! - Be prepared – Don’t start or end in an abrupt manner. Before the meeting, make a note of all the things that you want to discuss and ensure that you use list to conduct the meeting. Keep your body language calm and open. Keep your intentions clear. - Focus on performance not the person – This is by far the most important aspect of giving feedback. Remember ‘making it personal’ is different from ‘making it person-specific’! Remember to use references to specific actions or behaviours that were good or unacceptable in a certain situation. Do not judge a person when giving feedback. - Describe, don’t prescribe - Ensure that you give descriptive examples of how/when/where you observed the good/unacceptable behaviour. Describe the situation objectively and use objective words rather than judgemental words. Do not generalize the behaviour. Keep it situation-specific and avoid using the terms always, never etc. Describe the impact of the behaviour on the individual, on the job, on the team, on you etc. - Pause, observe, and reflect –Generally, when people set out to give feedback, it almost always seems rushed, one-way, and like a task that has to be completed. It is not. It is a process. Take it slow and give enough pauses in between the conversation that allow you to observe and reflect. Ensure that the feedback is clear to the individual. The pauses also give the individual a chance to absorb what is being discussed. Check with her how she is feeling about the dialogue and give her a chance to speak and discuss. - Summarize and close – At the end of the session, it is important to summarize the key points of a discussion and then follow it up with a written document/email that reinforces the key aspects of the dialogue. If the individual requests for advice, offer ideas and suggestions. Keep away from giving instructions. Help individuals make the right choice, don’t make it for them. And finally, don’t expect dramatic changes in a short while. Remember, giving feedback is a two-way process. Until the feedback has been received and acknowledged by the individual, there is no ‘giving’ that has happened. - Seek feedback – Feedback is an opportunity to develop and grow. If your supervisors have missed giving you feedback in a while, ask for it. Encourage people to give you feedback. If you are open about it, you will receive it frequently! - Listen actively– It is not very easy to do this especially when it is time for some constructive/ developmental/negative feedback. But be patient and listen carefully without interrupting. One is tempted to defend herself or rationalise the behaviour that was observed. Resist that feeling. - Clarify and share - After hearing the feedback, check to ensure that you understood it correctly. Take notes. Ask questions. Ask your supervisor to share specific examples of what they observed and when. Share your feelings about the feedback without justification or rationalization. Ask for suggestions and ideas to make things better. - Reflect and consider – After the feedback session, reflect on what was discussed. Take time to think. Refer to your notes about the specific behaviours and actions that were discussed. Check with your peers and friends. Perhaps they had observed the same but were shy to share it. Decide what you want to do about the feedback. Try one of the suggestions or ideas mentioned during the meeting. Try to do things differently and do your best to resolve the issues. Remember, when receiving feedback, you don’t have to agree with everything that you hear. But it is important for you to hear it and decide what you want to do about it. The benefits of online learning have been long established in the learning industry. To add to the changing learning landscape, technology has helped support and develop online learning environments in ways that were not possible in the past. While changes are happening rapidly, the skills needed to leverage online learning - as learners and instructional designers - are not developing at the same speed. In this context, it is important to begin developing online learning skills by appreciating digital pedagogy and how the principles, practices, and profession of teaching apply to the digital world. Whether on paper or on-screen, the adult learning theories and principles that guide training design and development continue to remain the same. However, online learning allows us to design training interventions in a self-paced yet collaborative environment and this requires specific design considerations and rethinking about how the theory of learning can be applied in this new space. I have been both - an online learner and an online facilitator. Having had the chance to be on both sides of the table, I can recognize and appreciate the skills required for making online learning a success. I am not saying that online learning/teaching skills are completely different from learning/teaching in a classroom. However, there are significant nuances of online learning that expect learners and facilitators to focus on some skills more than others. In that context, it is important to prepare yourself for online learning and facilitating. - Understand and read more about how online learning is different from classroom learning. Get comfortable with the idea of a ‘faceless’ instructor and the absence of printed handouts! And understand that these are just minor differences; there are several more. - Gather the required technology-related skills for online learning. If you can’t figure your way through a course outline or a website menu, you can’t learn much and will end up frustrated. It won’t be easy for folks who are used to handouts and books, but it can be learnt. - Learn to read and follow instructions. Do not be afraid to ask when you don’t understand. There is no other way that a facilitator can know if you are uncomfortable about an idea or a concept. - Plan and manage your time. Since all learning is self-paced and online, it is easy to be distracted. Plan and schedule your time through the course. Keep time aside for reading, participating in discussion forum and chats, and completing exercise and assignments. - Participate and engage with the facilitator and other learners. Be a part of the community and help support the learning culture. Post your feedback and views about the discussion topic. Be honest to yourself and others. Start a dialogue with fellow learners so that you can continue it beyond the online classroom. - Learn to learn by yourself. It is challenging to not be able to ‘see’ other learners around you but remember that they are around you! Develop your skills towards independent study and the skills to collaborate in the digital world without meeting face-to-face. - Keep yourself motivated. Always keep your learning goal in your mind and recall it every time you start to ‘drop-out’. While the facilitator will provide you necessary opportunities to engage and stay motivated, this is something you really have to do for yourself. Find what works for you – the time and money you invested, the hat and degree in the hand, a better job, a higher salary. - Be self-disciplined and committed. Submit exercises and assignments on time. Participate and collaborate with other learners. Give and take regular feedback. Remember that you are responsible for your success in any learning program! - Stay engaged. Stay connected. - Take an online course to understand how it is different from a traditional classroom. Your own experience as a learner is far more powerful than any other training related to facilitating online. - Read, discuss, and ponder about specific techniques and methods to make online learning a success. Even if you are an ace instructional designer or facilitator, this will not come to you intuitively. Connect with other facilitators who have done it before to get their perspective. - Develop your writing skills. Giving the right instructions using the written word is a ‘make or break’ skill for online facilitating. Be prepared to communicate entirely using writing. - Understand and integrate the specific methods and strategies used for online training. Be comfortable with the use of technology (chats/tweets/discussions/lms) and incorporate them in the right way within the learning process. - Address the fears and apprehensions your learners may face about online learning. Encourage them to discover and explore. Use examples from your own experience. Don’t be afraid to learn along the way. - Be disciplined and expect the same from your learners. Commit the required time and schedule all interventions appropriately. - Create enough opportunities for learners to participate, collaborate, and learn from each other. Ensure knowledge exchange between the learners and lead the process from the front. Develop the community and understand that you are a part of it. - Interact and engage with learners in a consistent, continuous manner. Contribute more than they expect. Give feedback on time. Be flexible with learner needs yet maintain a momentum for the course. - Take feedback from learners during and after the learning process. Don’t be afraid to rethink and redesign the training program based on the feedback and your own experience. Evaluate yourself as an online facilitator. - Face the reality. You may have been a successful classroom trainer but that does not guarantee the same success online. Don’t be hard on yourself. Rejoice that practice can make you perfect! I don't believe there is a perfect recipe for online success. But the points above were some of the ingredients from my own experiences. It wasn't perfect but it was all worth it! Inspired by Cammy Bean’s post. Caution: Long post. Is wordy and may be boring at places. But this is the story of my professional life. Life is boring at times. But it is always interesting when you write about life after 10 years. What did I want to be when I grew up? Honestly…. so many things! I wanted to be a rock star, a musician, a dancer, a painter, a writer, an editor, and a teacher…all at different ages of my life and sometimes all of these rolled into one! But never did I imagine that I would be an ‘Instructional Designer’. One of the big reasons for my lack of imagination is that I did not know that a career like this existed! And to add to my limited view of career choices, in my country, we did not have any courses then (and do not even have now) that allow you to graduate in instructional design. Our lack of vision continues…but more on that at another time. My first encounter with content writing and editing was at school where I edited the school magazine for 2 years. I submitted many of my own poems for the magazine to compensate for the lack of participation from others. This meant that I had to write poems at a regular frequency and soon developed an appreciation for the ‘written word’ and writing in general. My home was always full of books owing to my father’s interest in reading. My interest in books and all things that help us ‘learn’ started early. Books became my friends. After school, the difficult period began. Since I did not want to be a doctor, engineer, or a lawyer (what my parents thought I should be) or be a botany, zoology, or microbiology graduate (typical ‘girly’ subjects then), I decided to do something vocational. I joined Bachelor of Home Sciences (another girly course – for the obvious reasons –though my reasons were different). I am still surprised I joined the course – what with my utter lack of homeliness and no interest to be ‘homely’ either! I was a bright student and one with the toppers but I think I studied yet completely ignored the first two years (all about science and home). My carrot in this course was a chance to specialise in Community Resource Management in my final year. I waited for 2 years to ‘breathe again’ in my third and final year. The third year was all about consumerism, mass media, and management of resources – mind, time, and money. That is how close I ever went to formally learning about how to communicate with the public at large. I loved it! My brush with management and the growing curiosity about the resource of ‘mind’ led me to enrol in a 2-year Post Graduate Management course. I went on to specialise in Marketing and Human Resource Management. With all my management studies and an increased confidence and practical view of life, fortunately (I can say that now), I landed my first job that of a content writer and within the first 6 months moved on to become a manager of content writers! Why I applied for the post is another mystery. The ad said they wanted writers without informing much about the kind of writing etc. I knew I could write so I applied. Rest is history – literally! I learnt about instructional design on the job. I had the right environment - some wonderful mentors and being fortunate to be working in the largest training company. Along with working on client projects, very early in my career, I was asked to conduct instructional design-related training for budding writers joining our team, our division, and then our company. I started as a substitute trainer for some of the trainers who were not available at the time of the training. Slowly, the trainers did not need to be available anymore. I found my calling and took to training like a fish takes to water. To feel less vulnerable, I opened my communication channels with my mentors trying to discuss the best way possible and finding the best possible solution. To overcome the fear of being asked a difficult question by new hires or experienced folks, I read voraciously and built my own understanding of instructional design and all things related. To avoid making mistakes others had made, I was always over-prepared and over-anxious. To always be sure of everything I said to others, I tried things myself before making others learn it. So it was all about learning and doing and making mistakes and learning! Soon, 10 years passed and here I was –doing needs analysis, curriculum analysis and design, course analysis and design, development, and training delivery without any fancy degrees on my card but by enjoying several positions in the area. By the way, my first ‘job’ lasted 10 years… with the same company. I did get a chance to pack a lot of experience and take up several positions in instructional design and learning.